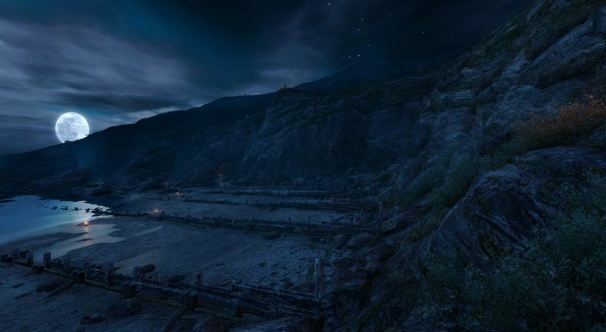 The haunting vistas of thechineseroom's Dear Esther. The Game Developer’s Conference takes San Francisco by storm next week. Every year, game developers large and small gather to talk shop, show off their wares, and pick up a lesson or two from like minded auteurs. There'll be plenty of highlights and suprise reveals, but one event is always a treat for developers and gamers alike: the 14th Annual Independent Games Festival, and its Awards Ceremony. The ceremony honors the best indie titles from finalists of seven categories, including Excellence in Design, Visual Art, and Audio. A total of $60,000 is awarded to the winners, with $30,000 going towards the coveted Seumas McNally Grand Prize. The recepient of the Seumas McNally award also gets a publishing deal, to release the game on Xbox 360, PC, and Windows Phone 7 -- Mojang won the prize in 2011, with Minecraft. We managed to get in touch with a few of the nominees, including from thechineseroom, who've developed first-person ghost story Dear Esther, and Mode 7 Hames, the minds behind the turn-based, tactical game Frozen Synapse. We even managed to get a hold of Mossmouth's elusive Derek Yu! You'll definitely want to head over to the Independent Games Festival website to check out all of the nominees, and play a few of the games that are in the running. And be sure to check back with Game On: the awards ceremony is on March 7th, but we'll be going behind the scenes and seeing what makes a few of these developers tick.